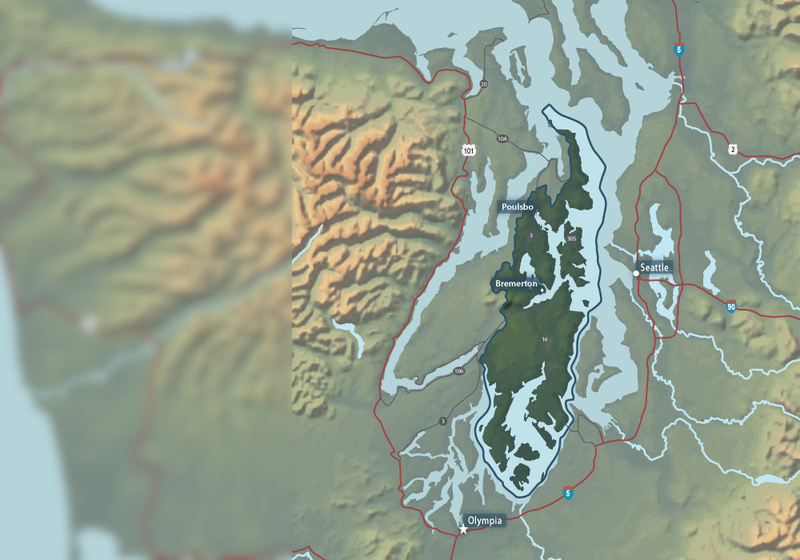 The 'West Sound Watersheds', including the Kitsap Peninsula and associated islands provides a diverse geography for salmon. 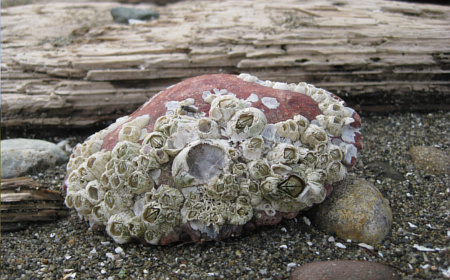 The most significant feature of the West Sound is the diverse nearshore habitat - with many several large coastal inlets, small estuaries, and long stretches of beach. 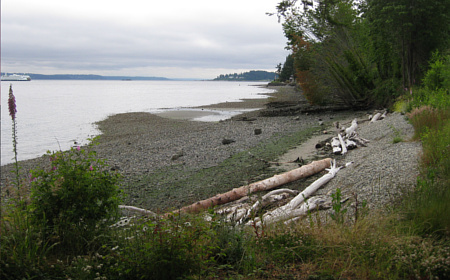 These shorelines and bays provide shelter and food to juvenile Chinook salmon from all over Puget Sound. 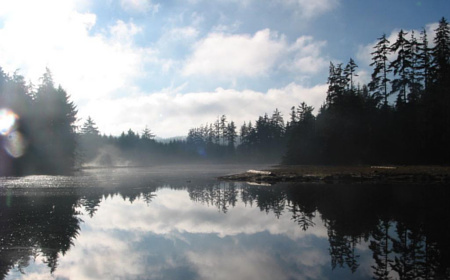 The area is home to over 100 small salmon streams. 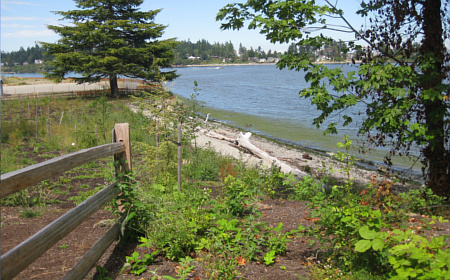 The entrance to the Carpenter Creek estuary at Arness Park, just outside of Kingston. 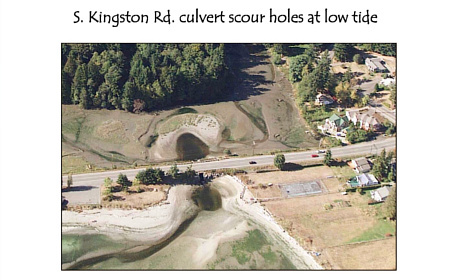 This is an aerial photo showing scour holes caused by high velocity at a too small culvert, before restoration at Carpenter Creek. 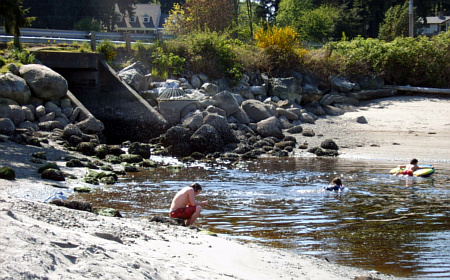 This photo shows the small culvert and scour holes, still a favorite place to swim! This is the new entrance to Carpenter Estuary, where the tide (and fish) can come and go peacefully. The inside of Carpenter Estuary at high tide. This is a view from Arness Park of the Port of Kingston and Appletree Cove, just outside of the Carpenter Creek Estuary. 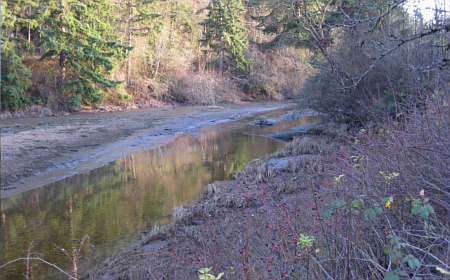 This video shows Dogfish Creek in Poulsbo - where a bridge opened up the estuary and Fish Park was developed on site. 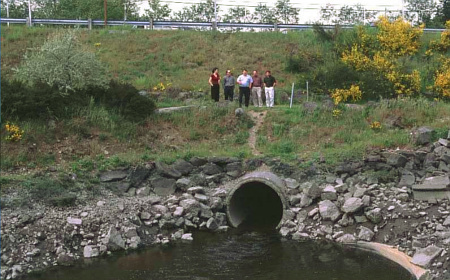 This is what the small culvert for Dogfish Creek looked like prior to restoration. 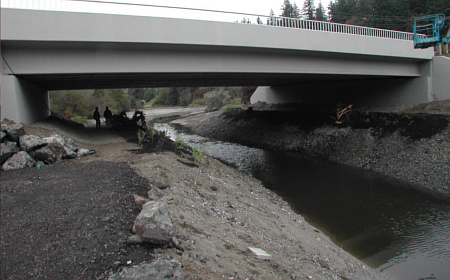 Dogfish Creek and it's estuary were opened up with this full span bridge replacement of a too small culvert. 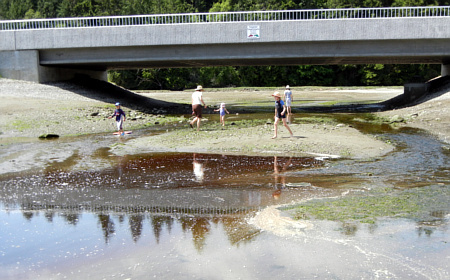 Dogfish Creek Estuary runs next to Fish Park in Poulsbo - this photo was taken at low tide. 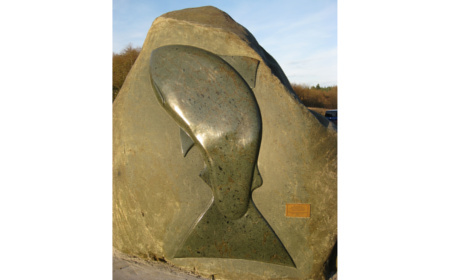 This statue welcomes visitors to Fish Park in Poulsbo. 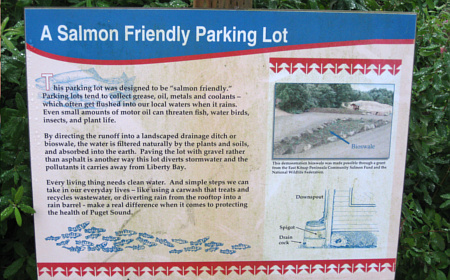 Fish Park is full of interpretive signs to explain how the park was designed and built, this one is of a 'salmon friendly parking lot'. 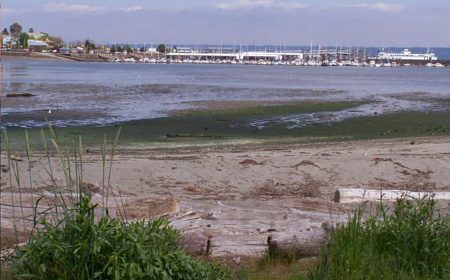 This video shows a panoramic view of Pritchard Park on Bainbridge Island - site of a bulkhead removal restoration project. This photo shows the beach on the east side of Pritchard Park with the old bulkhead. 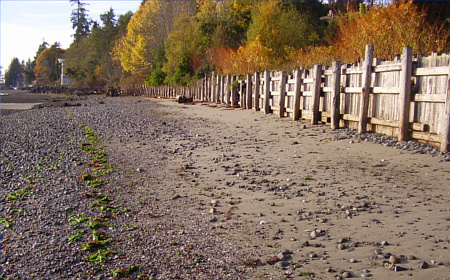 The new beach after the bulkhead and road behind it were removed, looking south. The new beach after the bulkhead and road behind it were removed, looking north. Crabs and other interesting shellfish, seaweed and driftwood are found on the beach. 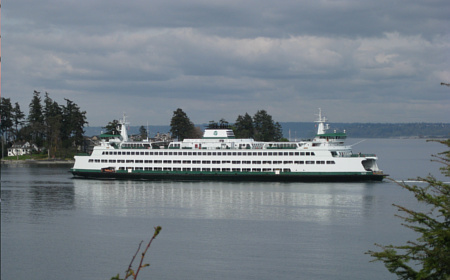 Pritchard Park has great views of the ferry, Seattle and the Cascade Mountains.